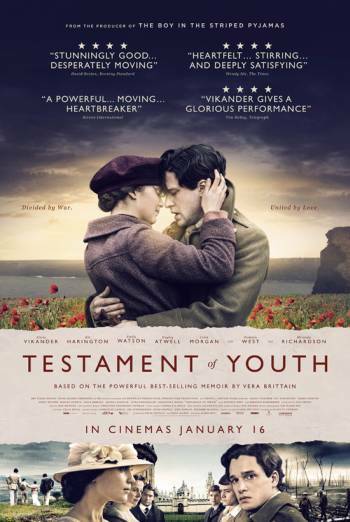 TESTAMENT OF YOUTH is a drama, set before and during the First World War, based upon the memoir of Vera Brittain. There are a number of scenes showing dead and injured soldiers lying outside field hospitals or being treated within them. These serve to illustrate the horror of war, but do so without dwelling on injury, instead depicting both the bravery of the soldiers and the compassion of the nurses who looked after them. The film also contains some scenes of emotional intensity, moments of mild innuendo and mild bad language, including a use of 'bloody'.